Look my friend, I am just disappointed. Islam is a great religion but the hadiths and sunnah have made it look like a violent intolerant religion. Non muslims use the hadiths against us to vilify islam and the prophet. He was a simple man and all he was told to do is pass on the message of god.Why do current muslims not understand that?. The Quran says it is the final and complete hadith. Why are muslims following likes of bukhari, muslim etc. It boggles the mind. Muslims should gather up the hadiths and sunnah and have a nice bonfire. Quran should be the only guidance. Nothing else. And the prophet should only be regarded as a messenger and nothing else, but muslims will kill if someone insults the prophet. We should be bigger then that. We should be able to say we are above that and no insult to the prophet will phase us. Well it is a start at least to "only read the Quran" in the reformation of Islam towards the real golden path. 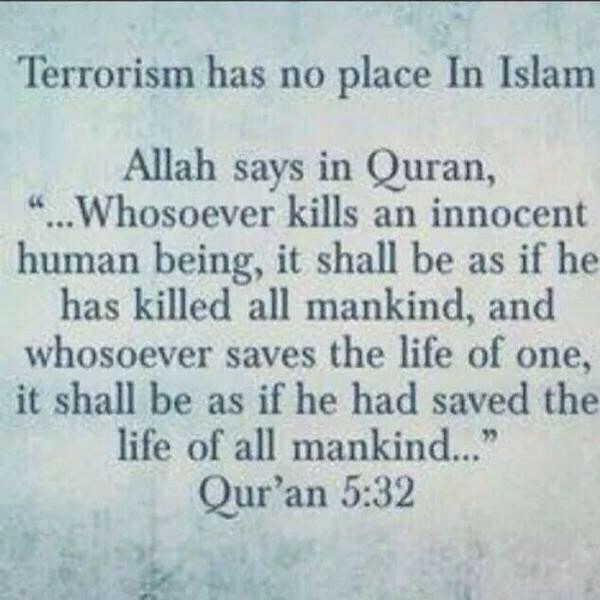 But since I have read the Quran and noticed it still has duality hate in it (us vs them reasoning). Paul and Jewish prophets where also using duality creating suffering resulting in imperialism and Zionism. But we do have reinterpretation of 5:32 where some Muslim have made it clean from duality. No corruption in the idea. While the above is an insane mess that can be used to justifying killing anyone you want. Even the Quran will create duality monsters that will cause us vs them grouping. Some souls will be following the golden path even if there books are pushing them towards violence since they are better in action than their books and will find that they cannot do violence due to their conscience. In 2013, about 60 percent of Tunisians polled said that they no longer attend mosques but instead pray at home. The reason given was the violent ideology promoted there. Seems the poison is in watchtower also. “Worthless fruit” includes political meddling and approving of practices that offend God, such as homosexuality. It's great that you guys have shared your beliefs on this subject. It gives me hope for Islam and changes my perspective somewhat. I hope you stay safe and get no backlash for sharing. maybe we should just drop religion and stop arguing and killing over books? I know some people consider what the bible teaches as poison. No need to demonstrate any further. Some people even pretend to respect the bible as a book with valuable information about God at the same time when they're doing this (cherrypicking what they like and what they don't like, or consider to be poison if we're sticking with the same terminology). 25 They exchanged the truth of God for the lie and venerated and rendered sacred service to the creation rather than the Creator, who is praised forever. Amen. 26 That is why God gave them over to uncontrolled sexual passion, for their females changed the natural use of themselves into one contrary to nature; 27 likewise also the males left the natural use of* the female and became violently inflamed in their lust toward one another, males with males, working what is obscene and receiving in themselves the full penalty,* which was due for their error. 19 If you were part of the world, the world would be fond of what is its own. Now because you are no part of the world, but I have chosen you out of the world, for this reason the world hates you. Some part are poison some are very insightful. Some ideas that are poison contradicts ideas that are insightful. I think seek and you shall find is probably the wisest phrase ever though and written down. It will be fun to see how both religious and the materialist will handle out of body experience being know to all and being able to replicate the experience. They have already started experimenting with how to do it. In the first TUS study on human mental states,11 our group showed that 15 seconds of 8 MHz TUS to fronto-temporal cortex from temporal scalp at 150 mW/cm2 resulted in 40 minutes of improved mood compared to sham exposure. Further studies12 have shown optimal mood improvement with 2 MHz TUS for 30 seconds to right fronto-temporal cortex. In some cases, vertex stimulation (targeting cingulate cortex) resulted in uncontrolled laughter, "out of body" experiences and feelings of being "more in the moment". High frequency (gamma synchrony) EEG was increased near the TUS stimulation site. Artificial bliss mode activation thru ultrasound manipulation. Maybe humanity can finally become the beautiful being it has the potential to be.